For some, the quest to lose weight becomes an ongoing struggle with counting calories and a lack of results. It’s frustrating to feel the scale is stuck, even when eating very little. Fortunately, we know more these days about the truths and myths of calorie counting, so dieters don’t have to feel they must go hungry to stop this cycle from repeating! 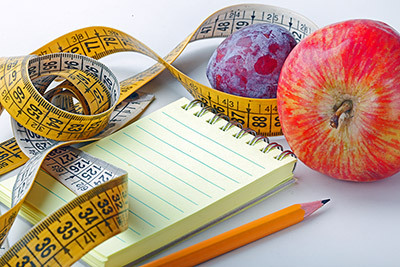 Take a look at some of these myths surrounding weight loss, calories and nourishment. If you’ve been following any of this thinking, you might want to adjust your approach to incorporate more of these nutritional truths. MYTH: If you want to lose weight, you must eat less. TRUTH: Instead of less food or fewer calories, eat more of the right foods. The right foods are those with a high nutritional value, calorie for calorie. Low-quality foods have a different effect on our body systems than we want—some foods are more aggressively stored as body fat than others. Also, our metabolisms react differently to different macronutrients. Protein versus carbohydrate, for example. MYTH: Staying on a diet to lose weight is matter of sheer willpower. TRUTH: More than willpower, different foods affect your chemistry differently. You might believe that 1500 calories of ice cream will have the same effect on you as 1500 calories of fish and spinach. Not true. Not only do our body reactions vary after food intake with processes like blood glucose level management, but our brains react differently too. Part of the weight loss equation is hunger versus satisfaction. For instance, the fiber in raw vegetables isn’t really digested, so even though a large portion might truly fill you up. it can never be stored as body fat, unlike ice cream. MYTH: A calorie is a calorie, period. TRUTH: 100 calories of lean protein are a better choice than a 100 calorie snack pack. While it’s true that calories are an energy source and your body burns energy to function, the nature of your calorie burning mechanisms aren’t quite as cut and dry as trading one type of calorie for another. One prime example is how protein can make an impact. When your goal is weight loss and you’re working out, the idea is to get your body to burn calories from stored body fat instead of from muscle tissue or excess calories. Protein helps with that—it is more likely to feed your muscles not your fat cells. A DOUBLE TRUTH: If you eat fewer calories than your body requires, your body adjusts to burn fewer calories. It’s also true that body burns more if you eat more. Each body is a complex, individual system, but the basic metabolic equations are true for all of us. Our bodies are systems, and systems naturally adjust for stasis, or to maintain equilibrium. Much like how our cells will store extra water to balance out extra sodium, our bodies will adjust metabolically to account for factors such as our body weight, our activity levels, our health or illness, pregnancy, and also the amount of calories consumed. Fill up on nutritional whole foods and eat plenty of protein – starving yourself will not produce optimal health and weight loss results. In short, focus on quality nourishment that supports your body composition goals. Is Your Desk Job Working Against You?